Standard Horizon GPS | Chartplotters, Plotter Sounders and MFDs build by Standard Horizon GPS. You will find a number of Standard Horizon GPS chartplotters and combination chartplotter fishfinders, as well as chartplotter VHF radio combos on the marine electronics market today. As a builder of a variety of marine gear Standard Horizon is the one maker that has combined a VHF radio with a mapping color chartplotter. With an expected release date of January 2011, you will find two new chartplotters now with built-in cartography in the lineup. The Standard Horizon CP190i features a 5-inch display with 320 by 240 resolution and an internal 50-channel GPS sensor. It’s big brother, the Standard Horizon CP390i has a very high resolution 7-inch display screen as well as an internal GPS sensor. The two new combination chartplotter fishfinder units in the lineup add an internal 600-watt sonar. The 5-inch screen version is designated the Standard Horizon CPF190i and the bigger 7-inch is the Standard Horizon CPF390i. The latest big screen chartplotter to the hit street (planned January 2011 release) is the Standard Horizon CP590. This one has a 12-inch high resolution display screen, preloaded cartography, and ships with an external GPS sensor. We are still several months away from seeing the Standard Horizon CPN700i and CPN1010i appear on the marine electronics scene. Right now the expected release date is April 2011. This pair will feature touch screen control, an internal GPS sensor, and dual station networking capability. Standard Horizon now offers a series of chartplotters with an integral fishfinder. 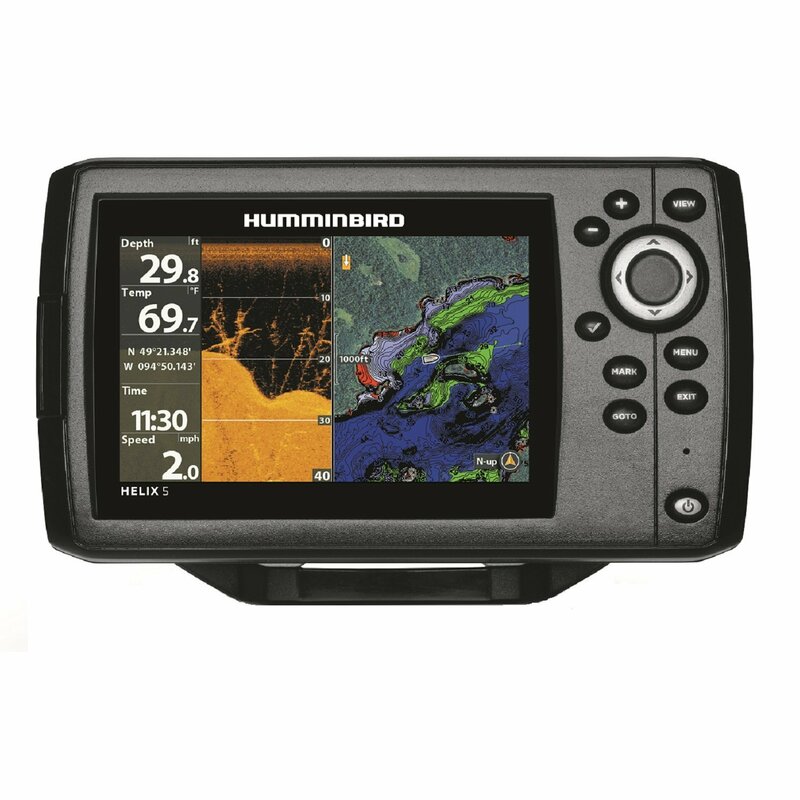 The small screen version in this series is the Standard Horizon CPF180i which features a built-in GPS antenna and 600-watt sounder. Next up in this series with a high-resolution 7-inch display screen is the Standard Horizon CPF300i. You’ll find a number of well established Standard Horizon chartplotters that remain on the market today because of each unit’s capabilities and reasonable price tag. The budget buy in this group is the Standard Horizon CP180 which features a very bright display screen and one of the lowest price tags we’ve seen for a color chartplotter. The big screen version of this machine is the Standard Horizon CP1000C which features a 10.4-inch high-resolution color screen. Unlike any other plotter makers Standard Horizon has built a two unit series that marries both a mapping chartplotter and VHF radio into a single display unit. Both can also use an add-on black box sounder if desired. The Standard Horizon CPV350 is the smaller of the two and boasts a 7-inch display screen with 800 x 480 pixels, a 30-watt hailer, and full-mapping plotter. The big boy is the Standard Horizon CPV550 which has a whopping 12-inch display screen to display your chart and VHF data at the same time.